OpenCon 2015 Applications are Open! Applications to attend OpenCon 2015 on November 14-16 in Brussels, Belgium are now open! The application is available on the OpenCon website at opencon2015.org/attend and includes the opportunity to apply for a travel scholarship to cover the cost of travel and accommodations. Applications will close on June 22nd at 11:59pm PDT. OpenCon seeks to bring together the most capable, motivated students and early career academic professionals from around the world to advance Open Access, Open Education, and Open Data—regardless of their ability to cover travel costs. In 2014, more than 80% of attendees received support. Due to this, attendance at OpenCon is by application only. Students and early career academic professionals of all experience levels are encouraged to apply. We want to support those who have ideas for new projects and initiatives in addition to those who are already leading them. The most important thing is an interest in advancing Open Access, Open Education, and Open Data and a commitment to taking action. We also hope to use applications to connect applicants with opportunities for collaboration, local events in your area, and scholarship opportunities to attend other relevant conferences. OpenCon is equal parts conference and community. The meeting in Brussels serves as the centerpiece of a much larger network to foster initiatives and collaboration among the next generation across OpenCon’s issue areas. Become an active part of the community by joining our discussion list, tuning in for our monthly community calls and webcasts, or hosting an OpenCon satellite event in your community. Apply now, and join the OpenCon community today! Hosted by the Right to Research Coalition and SPARC, OpenCon 2015 will bring together students and early career academic professionals from across the world to learn about the issues, develop critical skills, and return home ready to catalyze action toward a more open system for sharing the world’s information — from scholarly and scientific research, to educational materials, to digital data. OpenCon 2015 will be held on November 14-16 in Brussels, Belgium. OpenCon 2015 builds on the success of the first-ever OpenCon meeting last year which convened 115 students and early career academic professionals from 39 countries in Washington, DC. Speakers at OpenCon 2014 included the Deputy Assistant to the President of the United States for Legislative Affairs, the Chief Commons Officer of Sage Bionetworks, the Associate Director for Data Science for the U.S. National Institutes of Health, and more than 15 students and early career academic professionals leading successful initiatives. OpenCon 2015 will again feature leading experts, and the program will be announced in the coming months. 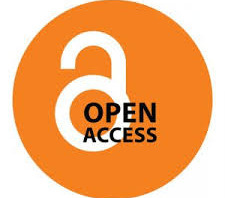 Author openindiaPosted on June 4, 2015 Categories Advocacy, Awards, Conference, Open Access, Open DataLeave a comment on OpenCon 2015 Applications are Open!